One way for businesses to optimize their products and performance is knowing exactly who their customers are and how they spend their money. We have already seen software to help businesses know more about their customers. These include geo-targeted pricing and a B2B marketing platform. But collecting this type of data is easier for online businesses than for bricks-and mortar stores. Recently, machine learning experts at the UK’s University of Southampton developed a deep learning technology that can capture data from video footage. Aura Vision Labs has developed tech that can analyze video footage to track people in real-time, without relying on visible faces. 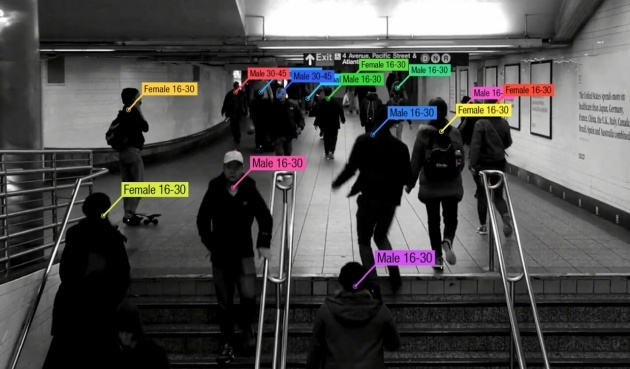 From any camera, the technology can detect the gender, age and clothing style of every person in a crowd. There are more than 245 million video surveillance cameras in operation globally. Aura’s technology can use these existing security systems to provide retailers with a cost-effective way to gain accurate, real-time information on their customers.